The 700 HP EFI fuel system kit gives you everything you need to completely install this fuel system on your EFI street rod, muscle car or Pro-Street vehicle. Universal kits like this are ideal if a system P/N for your specific application does not yet exist or you already have a sumped tank or fuel cell. All additional hardware to install the system on virtually any car. These systems support a wide range of performance, from 150 to 700 HP. Whether you have a street car, race car or boat, Aeromotive's Universal Fuel Systems are the right choice. 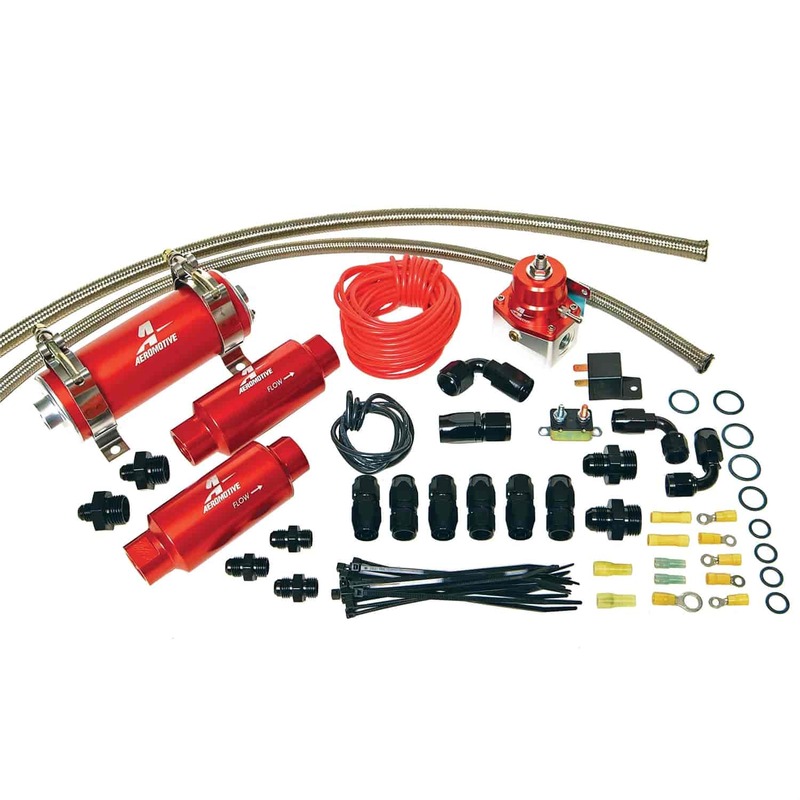 Designed to provide the do it yourselfer with "ALL" the hardware necessary to properly install an Aeromotive fuel system on everything from a stock bodied muscle car to the most radical Pro-Street cruiser. Designed to provide outstanding performance through matched component selection and correct installation. Universal kits provide the results only years of experience can match, eliminating confusion, wasted time and unnecessary expense common to designing a complete system from scratch.